Why is the slice of life genre so popular? Well, it's certainly not for everyone. The plots may not be as deep or involving as plots for dramas or mysteries, and there's not many exciting fight sequences when compared to action anime. There's usually not even romance for viewers to swoon over! Nevertheless, slice of life anime have their own charm, because they're really refreshing after perhaps getting too invested in convoluted plotlines. 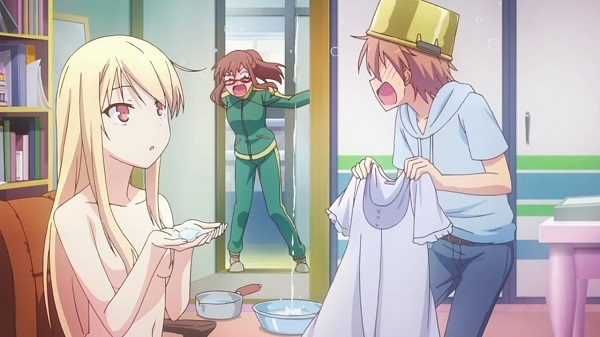 With slice of life anime, it's possible just to sit back, relax, enjoy the well-written characters, and giggle at their antics as they live their (mostly) normal everyday lives. Based on the MAL Slice of Life page in order of the amount of members as of the date of publication. Continuations or related anime are listed as honorable mentions. 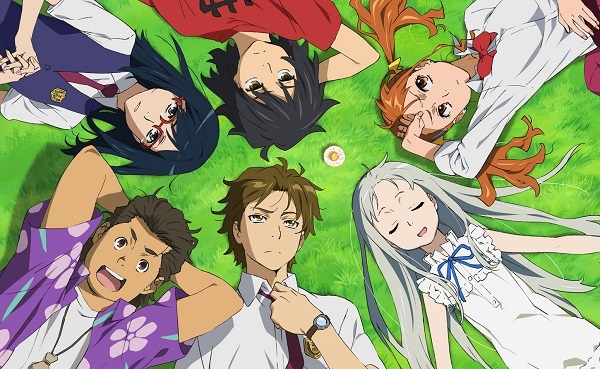 Come check out 20 of the most popular slice of life anime! A lot of anime protagonists are generally well liked and have lots of friends. Not so with Tomoko Kuroki, who hasn't spoken to any of her classmates since entering high school. 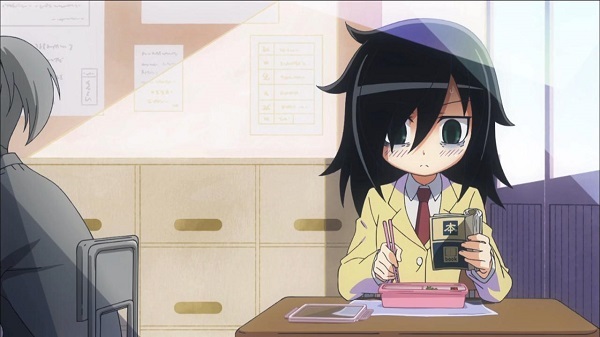 By turns riotously funny and deeply uncomfortable and cringe-inducing, the slice of life anime Watamote is a love letter to anyone who's ever experienced social anxiety. 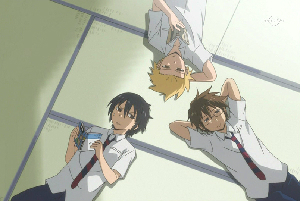 High school settings are common in slice of life anime. 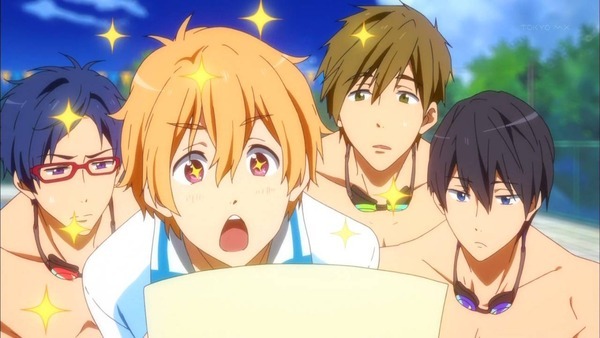 Avid swimmer Haruka Nanase reunites his old swim club to show up his high school rival, aspiring Olympian Rin Matsuoka. Come for the half-naked tests of speed and stamina, stay for the friendship and perseverance! If you got into manga and anime in the '90s, odds are that it was because of this series. Though significantly truncated from the books, the anime follows the same basic story of Tooru Honda, who sets out to break a strange curse on her adoptive family. 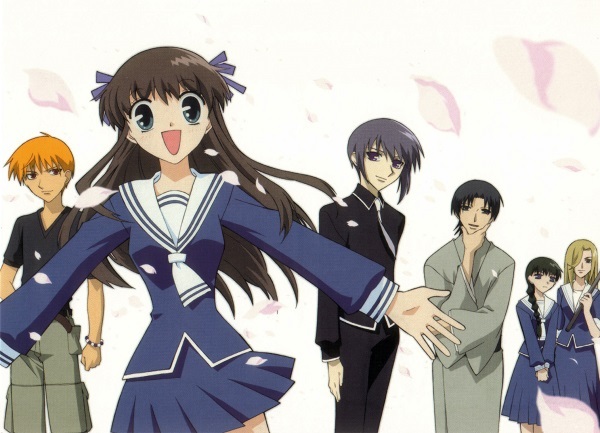 Though there are magical themes at work here, Fruits Basket deftly weaves them into Tooru's school life and family drama. 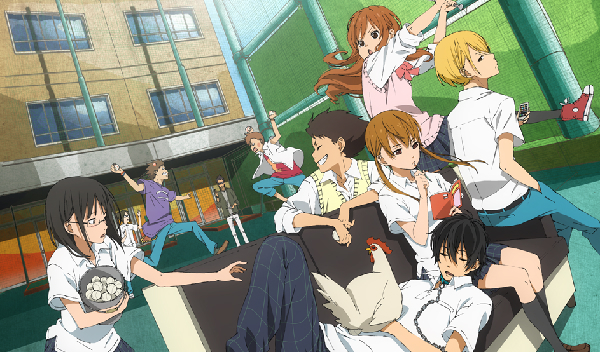 Most high school shows deal with everyday problems like schoolwork and popularity. 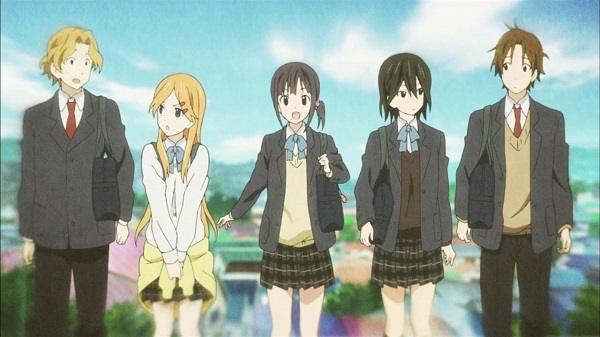 Kokoro Connect gives a standard slice of life formula a supernatural twist: the members of the Student Cultural Research Club periodically switch bodies! Working through teenage struggles is much more complicated—and enlightening—when you do it from someone else's perspective! How do you tame a class of delinquent students? With a delinquent teacher! In this classic slice of life, Eikichi Onizuka is a former gang member and incorrigible pervert who initially earns his teaching degree to meet girls. His insane luck lands him in and out of crazy situations throughout his tenure, during which he gradually develops a conscience. Sometimes slice of lifes get really supernatural. 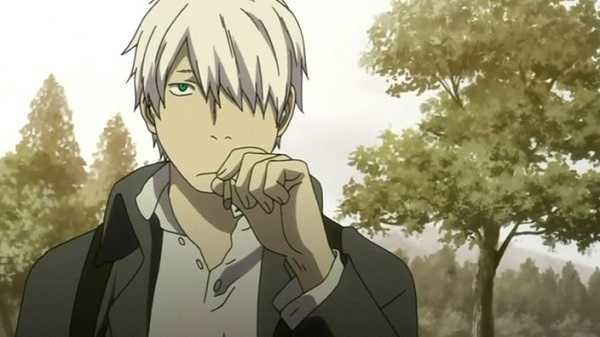 Ginko is a wandering mushishi, someone capable of interacting with mysterious mushi, or nature spirits. Like an old-timey Takashi Natsume, Ginko's hobby is solving problems between spirits and humans. Tranquil and contemplative, Mushishi will appeal to the drifter in you. There's no major overarching plot, as the show chronicles Gin's various dealings with the mushi. 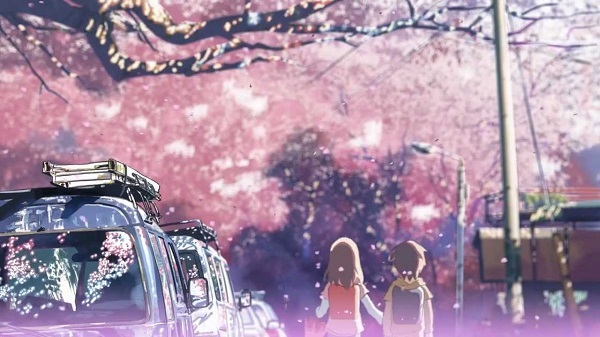 One of Makoto Shinkai's landmark works. Takaki and Akari are close friends driven apart by distance, striving to regain a love they almost shared. As their relationship decays, they both learn to accept what it once meant to them. Not recommended—or perhaps highly recommended—for the easily moved. 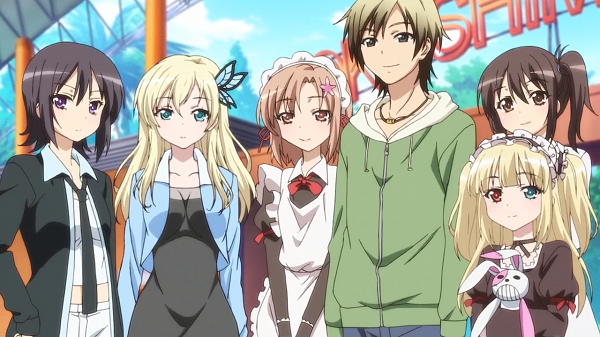 Here's another slice of life anime for the socially awkward among us. Shunned at his new school for looking like a delinquent (he's blond), Kodaka starts a club for loners and weirdos with Yozora, a girl with an imaginary friend. Whether you're an arrogant beauty, a pervert, or a vampire, the Neighbors' Club has something familiar for everyone. Though it may be an urban fantasy about teenagers battling demons, Beyond the Boundary is also about what they do between fights. 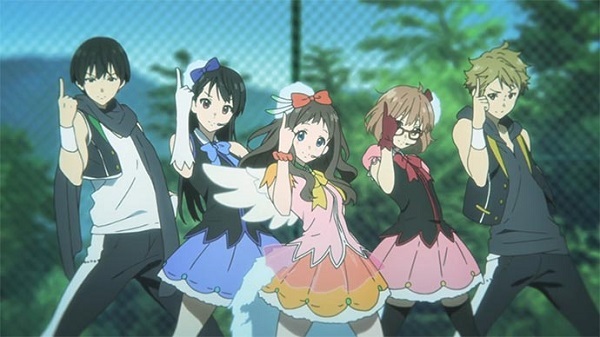 Whether they're doing cosplay photo shoots or signing each other up for idol auditions, Akihito Kanbara and his friends find plenty of time for fun when they're not fending off threats from the spirit world. Opposites attract. That explains the unlikely relationship between studious Shizuku Mizutani and chronic truant Haru Yoshida. The picture isn't a spoiler, by the way—they quickly fall for each other. They attempt to figure out what that means throughout the series, all while helping each other become more outgoing. If you're looking for plot, look elsewhere. 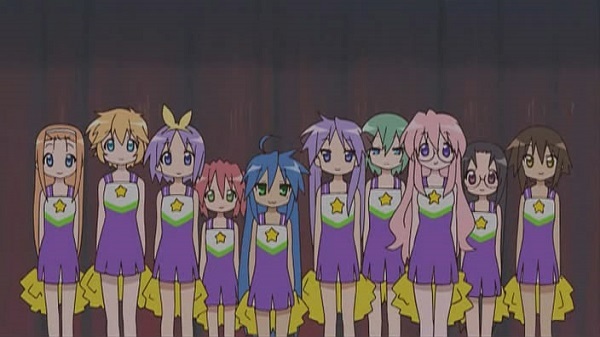 Lucky☆Star is as slice-of-life as it gets, skipping sedately through observational humor about school life and pop culture. Don't think four schoolgirls talking about chocolate cornet bread can entertain you? Think again! Ever wish you had more in common with your siblings? 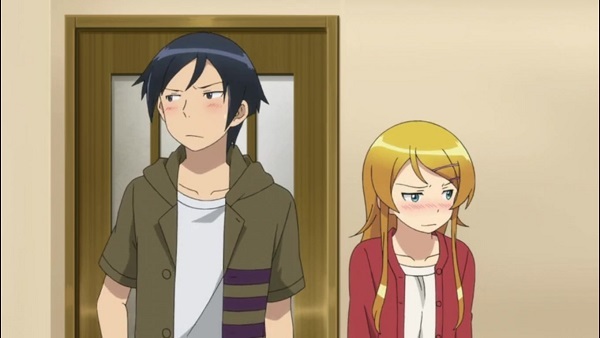 Kyousuke and Kirino certainly do. 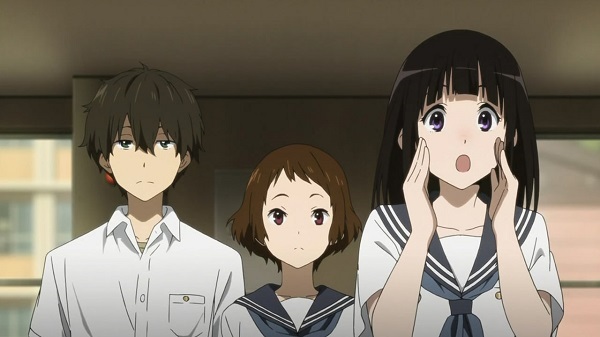 Kyousuke is so distant from his sister that he barely knows her at all. When he discovers that his sister's secretly into dating sims and has other otaku-type hobbies, she latches onto him as the one person she can share her interests with. Video games really can bring the family together! After getting kicked out of his art school dorm for keeping a pet cat, Sorata Kanda moves into Sakura Hall—a dorm populated entirely by the eccentric and outcast. One such person, Mashiro Shiina, moves in with him; she's a famous artist who is completely unable to take care of herself. Got weird friends? Ever felt like you needed some time to get back on your feet? Look no further! "If I don't have to do it, I won't. If I have to do it, I'll make it quick." So says Houtarou Oreki, determined to go through life with minimal effort. But once he joins the Classics Literature Club, he finds himself drawn into a 45-year-old mystery with his clubmates. The journey of solving it gives him a brand new lease on high school and life in general! 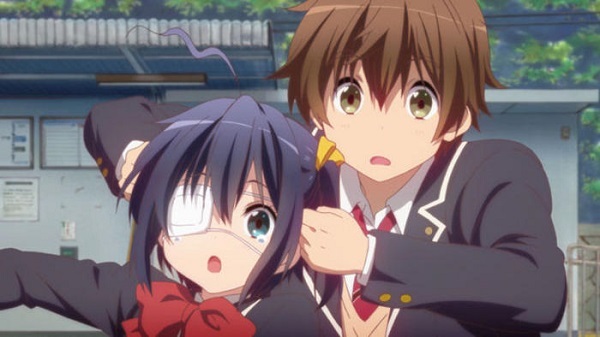 Chuunibyou, or "second year middle schooler syndrome", refers to delusions of grandeur among kids around eighth grade. Yuuta Togashi goes to a new high school to leave all traces of his chuunibyou behind, only to meet Rikka, a similarly deluded girl. As Rikka reignites Yuuta's fantasies, he attempts to get her to embrace reality. This one's all about accepting who you were as you discover who you are. 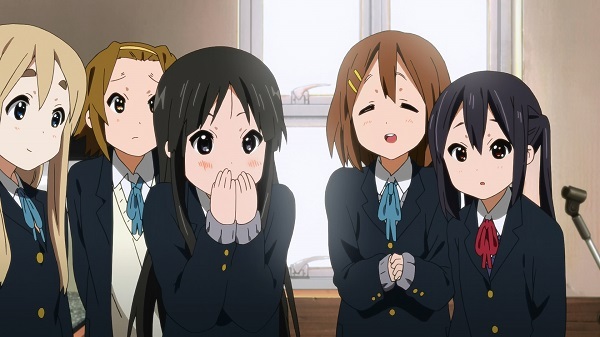 Yui Hirasawa can't play an instrument, but that doesn't stop her from joining the light music club! What follows is cute high school girls doing cute things—working to raise money for instruments, throwing tea parties, and going to the beach. But it's all wrapped around a core of learning and improving at their shared passion. Isn't that what life is all about? Losing friends is hard—even harder when you just sort of grow apart. The reclusive Jinta Yadomi knows this all too well. But when the ghost of a long-deceased friend appears to him, he tries to get his old gang together to help her remember what she once wished for. Good for anyone who's still looking for closure. Everyone has that friend who can't stand boredom. But that friend generally doesn't have reality-altering powers. Haruhi Suzumiya does, although she isn't aware of it. 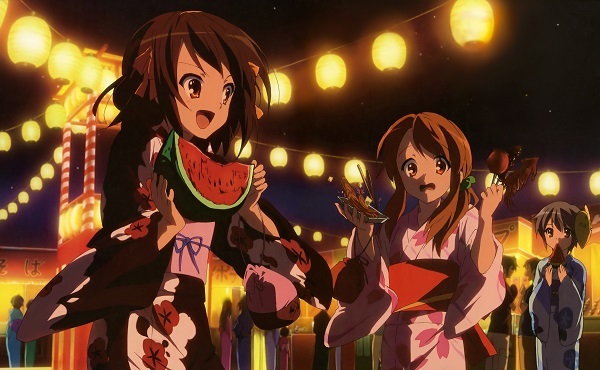 With her cynical buddy Kyon at her side, Haruhi starts a club dedicated to hunting down otherworldly phenomena. High school adventures are exciting enough without making sure your friend doesn't accidentally destroy the planet! There's something to be said for taking an interest in those around you. Believing he'll never amount to anything, Tomoya Okazaki fully intends to waste his life. His meeting with the timid Nagisa Furukawa changes that. As Tomoya drifts into the lives of several of his classmates, he forms new relationships and tackles new problems that restore his faith in life...and in himself. 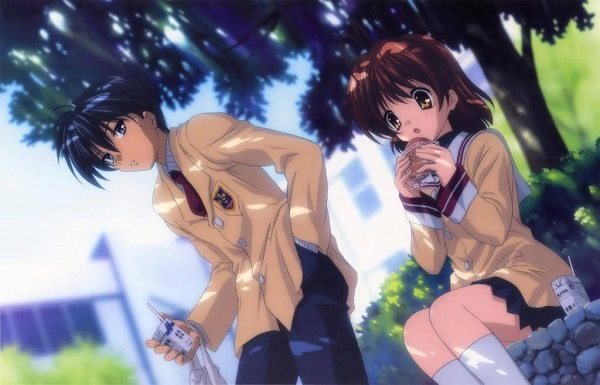 Ryuuji Takasu and Taiga Aisaka don't get along, despite being classmates and neighbors. But they find common ground: each has a crush on the other's best friend. As Ryuuji and Taiga help each other find love, defend each other from stalkers, and run for student council, they gradually get used to each other...and more. 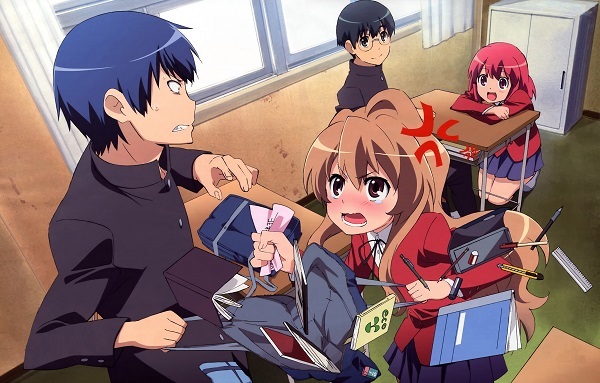 Combining school adventures, real-world struggles, and budding romance, Toradora! more than earns the top spot. Anime: Fruits Basket, Great Teacher Onizuka, Mushishi, Suzumiya Haruhi no Yuuutsu, Byousoku 5 Centimeter, Lucky☆Star, Clannad, Toradora!, K-On!, Ore no Imouto ga Konnani Kawaii Wake ga Nai, Ano Hi Mita Hana no Namae wo Bokutachi wa Mada Shiranai., Boku wa Tomodachi ga Sukunai, Kokoro Connect, Hyouka, Sakurasou no Pet na Kanojo, Tonari no Kaibutsu-kun, Chuunibyou demo Koi ga Shitai!, Watashi ga Motenai no wa Dou Kangaetemo Omaera ga Warui!, Kyoukai no Kanata, Free!